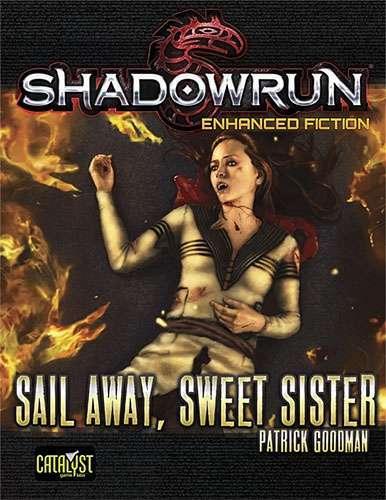 Tonight we visit with Shadowrun Freelancer Patrick Goodman about several of his recent works. Co-Hosts: Tim P., Bob L., Beth M.
This entry was posted in Podcast Episodes and tagged 4th Edition, 5th Edition, Catalyst Demo Team, Catalyst Game Lab, convention, Facebook, Gencon, Infected, Missions, Origins, Running, Running Wild, Shadowrun, Shadowrun Misions, Table Top, Vampire, Wild by Tim Patrick. Bookmark the permalink. Yes sorry my wage slave job has it into overdrive getting my host ready for all the chummers about to descend ion it. I got put in touch with a Mr. Johnson who gave me a special task, all the runners out their. I am currently at a loss for topics as well, we are always open to new ideas.